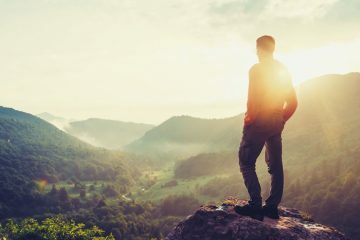 That saying carries a lot of weight, and practically every married couple I know will agree with me when I say that your marriage (or future marriage) affects every aspect of your life. It doesn’t just affect your happiness, misery, or other emotions. It affects and impacts the events that produce those emotions. Brown’s quote comes from his 21 Suggestions for Success list. Today, I want to talk about how you can successfully marry the right person. Many young people ask this question when they are faced with one of the most important decisions of their life. Since it is so important, it is good to seek counsel and ask for advice. However, if you ask twenty different people who you should marry, you’ll probably get a variety of different answers. “Marry someone like you,” some of the people will tell you. “Marry someone who is the opposite of you so life is interesting and you will complement each other,” others will say. “Marry someone who is your ‘best friend’ who you have known for a long time,” still others advise. “Marry with a focus on compatibility to ensure your life and relationships are smooth and copacetic,” other people insist. This list could go on and on. All of these people are right. They are right in that they are giving you advise from their perspectives. They are giving you a piece of their experience in relationships and marriage. All of this advice does work. It probably worked well for them. But what will work well for you? What will make sure you make the best choice when you are deciding on who you should marry? Luckily, there are a few things that will help you, but first let’s ask the right question. 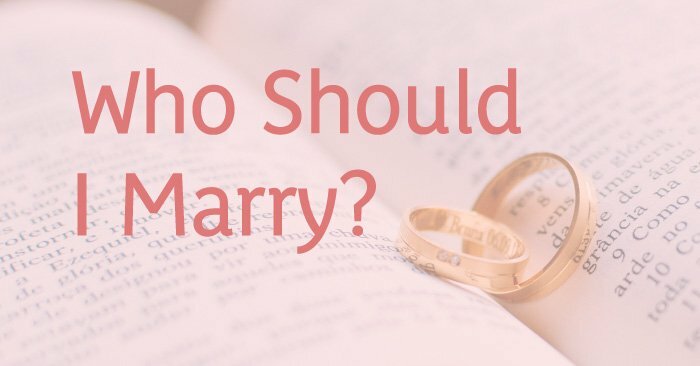 The real question isn’t “who should you marry?” The real question is “who do you want to be committed to?” That’s what marriage is after all. It is a commitment. Finding someone to marry isn’t just about finding someone you get along with, or compatible enough with to live life together, or who is always there to talk to you, or who gives you those awesome happy feelings and makes you feel like you aren’t alone. Yes, it does help when you find that special person who complements you, who you enjoy living life with, and who becomes your best friend. Those benefits can come out of a marriage, but being married is about making a commitment to that special person you’ve found. This commitment will take everything you have to work. You can’t hold anything back in marriage. Creating a great marriage will take your time, money, effort, whole heart, and everything else in-between. That is why Jackson Brown said the marriage relationship will determine ninety percent of your happiness or misery. Merriam-Webster tells us that commitments by nature are things we are dedicated to. They are obligations and engagements which impel us to move forward and onward. This could define marriage in a rough sense since there is an obligation there, but I think calling marriage a commitment leaves out so much. It leaves out emotions! A love agreement is a heart commitment. It is focusing all of your heart, soul, mind, strength, and emotions into being committed to your marriage. It is choosing to love unconditionally to the best of your ability and to not remember any wrongs, shortcomings, or faults of your partner. Making a love agreement is choosing to set your heart on a path which always improves and leads your marriage. This type of love agreement sets your marriage on the right path which allows us to be faithful, patient, respectful, kind, forgiving, and have a servant heart while celebrating how amazing marriage truly is. If you would like to learn more about making love agreements, I encourage you to check out my 7 Love Agreements book. Faithfulness: I will be faithful to my spouse at all times in everything. Patience: I will not try to change my spouse, but I will modify my behaviors. Forgiveness: I will quickly ask forgiveness, and I will forgive my spouse’s offenses in my heart even before being asked. Service: I will anticipate my spouse’s spiritual, emotional, physical, and material needs and will do everything I can to meet them. Respect: I will be kind to my spouse and eliminate any trace of meaninglessness from my behavior and speech. Celebration: I will appreciate my spouse’s gifts and attributes and celebrate them personally and publicly. These seven agreements will set you on track for a successful marriage and help you understand how you need to treat the marriage relationship if you are not yet married. So, when it comes down to it, it doesn’t really matter if we marry someone who is similar or different than us. It matters if we marry someone who is committed to us. We are allowed to be different. Being different, seeing things differently, wanting different things, and having different needs is normal. What would you expect from any two people who have different life experiences, viewpoints, priorities, and education – not to mention genders? To expect these two people to agree on everything or think that one would have to be right all the time is absolutely insane. That’s just crazy to believe in sameness when God intentionally and expertly made us entirely different from one another. Choose to be different. Celebrate your differences. Commit yourself to being committed to marriage and loving well with love agreements.